Weddings are wonderful events that will be remembered for a lifetime. At Parties To Go, you can find fun bachelorette party items, and beautiful bridal shower supplies for your big day. Looking for a guest book, wedding favors, or even a ring bearer pillow for your pet dog? We have it. Pick up everything you need (and maybe things you didn’t even know you needed!) at our Party Store. Throwing a Bachelorette Party? 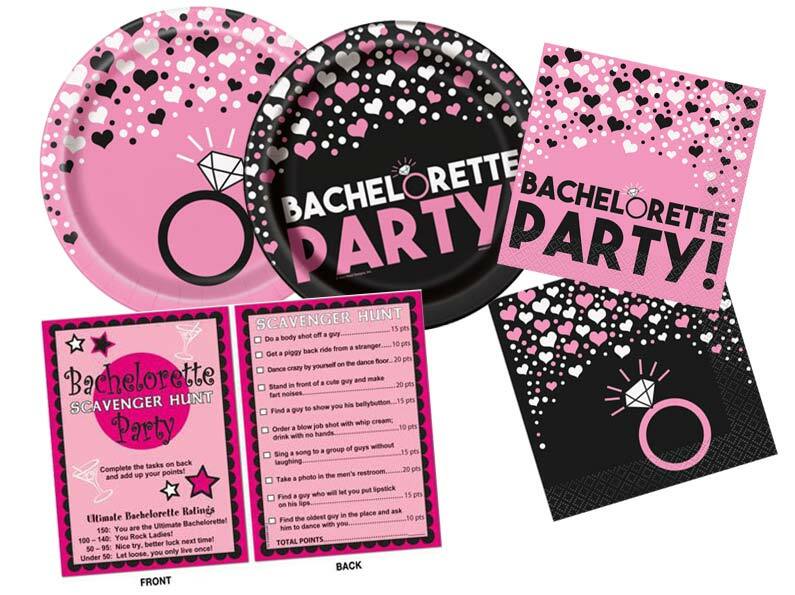 Celebrate her single status before she becomes a newlywed with our extensive collection of bachelorette party supplies! We have fun gag gifts, banners, tiaras, party games, party favors, and more to choose from. From classy to wild, we have everything you need to throw a fun and memorable party. Planing a Bridal Shower? Stop by our Party Store! Our stylish selection of bridal shower supplies are chic, sweet and unique. Whether you are hosting a traditional girls-only gathering, or a hip coed party, we have inspiring supplies to compliment any shower theme. 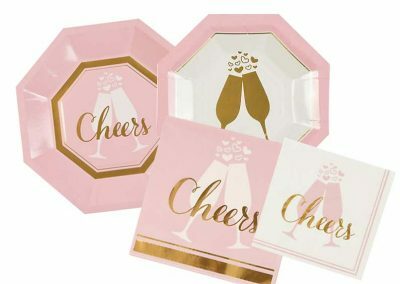 Our large variety of tableware, decorations and other bridal shower supplies will help you throw a wonderful celebration for the bride-to-be. “The people here were great to work with. They didn’t mind the 10 times we went back to look the equipment over before the wedding, lol.